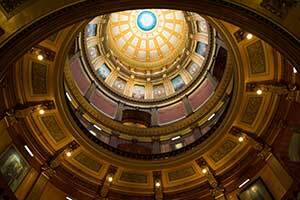 LANSING, Mich. — Sen. Dale Zorn, R-Ida; Rep. Bronna Kahle, R-Adrian; and Lt. Gov. 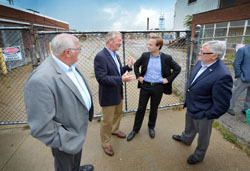 Brian Calley on Tuesday toured the former Tecumseh Products site, which is undergoing a $56.6 million redevelopment that is expected to create 350 jobs. On Aug. 22, the City of Tecumseh Brownfield Redevelopment Authority received approval of $1.4 million in local and school tax captures to support lead, asbestos and mold abatement as well as demolition activities necessary to prepare the site for redevelopment. The project will rehabilitate a portion of the old Orbitech building into industrial space and renovate another building into offices. The rest of the 55-acre site will be cleared for a new contemporary retail, industrial and business complex with on-site parking and park space. 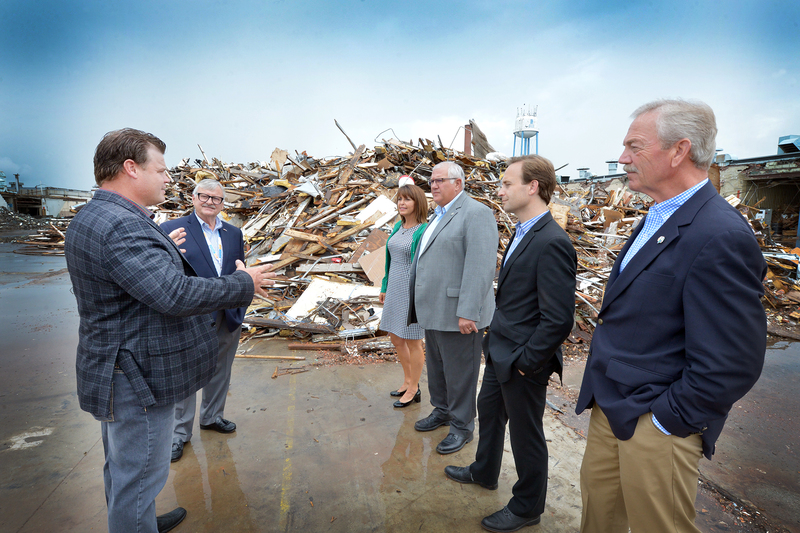 Joining Zorn, Kahle and Calley on the tour were Lenawee Now Executive Director Jim Van Doren, Tecumseh Mayor Jack Baker and Great Lakes Aerial President Jason Miller. LANSING, Mich. — Sen. Dale Zorn recently joined Michigan National Guard commander Maj. Gen. Gregory Vadnais and numerous state and foreign officials to observe the Northern Strike 2017 exercise at the Camp Grayling Joint Maneuver Training Center. Military units from six counties joined approximately 5,000 Air Force, Army, Marines, Special Forces and National Guard units from 15 states for the exercise. The annual exercise ran from July 29 to Aug. 12. Zorn said one item that makes Camp Grayling so effective for this type of exercise is a mock village, called the Combined Arms Collective Training Facility. It is made up of more than two dozen buildings found in most communities, such as homes, churches, a store, a school, a courthouse and a fire station. It also has a mock embassy and each room has cameras to record the training exercises for evaluation by military leaders. 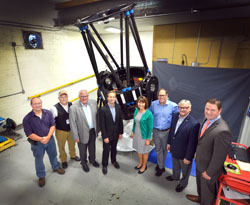 LANSING, Mich. — Sen. Dale Zorn on Tuesday applauded approval of a brownfield tax capture that will pave the way for a more than $56 million redevelopment of the former Tecumseh Products facility. The City of Tecumseh Brownfield Redevelopment Authority on Tuesday received Michigan Strategic Fund approval of $1,447,584 in local and school tax captures for brownfield activities at the former Tecumseh Products site. Local leaders joined Zorn in praising the project. Lenawee Now Executive Director Jim Van Doren also weighed in. The Revival Commons project will rehabilitate a portion of the old Orbitech building into industrial space and renovate a building at 600 S. Ottawa St. into offices. The rest of the 55-acre site will be cleared for a new contemporary retail, industrial and business complex with on-site parking and park space. Prior uses of the Tecumseh Products site as a foundry, metal and machine shop, and refrigeration equipment manufacturer left the site heavily contaminated. The brownfield capture will support lead, asbestos and mold abatement as well as demolition activities necessary to prepare the site for redevelopment. “I applaud the state, local and private development leaders for working together to support returning an abandoned facility back into a source of pride and economic renewal, and I look forward to seeing the redevelopment completed,” Zorn said. LANSING, Mich. — Sen. Dale Zorn and Rep. Joe Bellino announced on Thursday that the city of Monroe has been awarded funding to help eliminate blight in the community. The city of Monroe will receive $174,300 from the Michigan State Housing Development Authority (MSHDA) to assist in the demolition of abandoned properties within the planned footprint of the River Raisin Heritage Corridor expansion project. Monroe is one of 19 cities across Michigan that will receive funding for residential and commercial blight elimination projects using more than $3.6 million in grants from MSHDA. County land banks and local units of government were invited to submit eligible projects for a MSHDA-funded blight elimination grant opportunity. Projects needed to improve public safety, stabilize or increase property values, and/or support efforts that were currently in progress. All structures targeted for demolition are vacant, publicly owned and meet specific blight criteria including being deemed a public nuisance. The maximum award amount was set at $25,000 per residential structure or $100,000 per commercial structure. Residential proposals had to prove that the building’s last use was as a multi- or single-family residential structure and commercial projects had to be part of development plans with existing funding commitments and a local match of at least 10 percent. 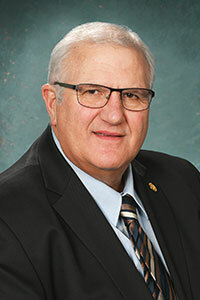 LANSING, Mich. — Sen. Dale Zorn has announced that he will conduct district coffee hours in Tecumseh and Monroe this month. The first coffee hour will be held Monday, Aug. 21 from 8:30 to 9:30 a.m. at City Limits Diner and Pancake House, 114 W. Logan St. in Tecumseh. The second coffee hour will be held on Friday, Aug. 25 from 8:30 to 9:30 a.m. at Panera Bread, 393 N. Telegraph Road in Monroe.